Tis the season for holiday cheer, lots of traveling, and getting new devices. But what about your old electronics? And how do you get rid of your old TV set? The holidays are a joyous time for most people. In addition to numerous memories, however, they also bring an inordinate amount of excess trash and debris to be disposed of. And, while getting rid of all the paper and packaging can be hard enough, having to get rid of old electronics can be downright troublesome. 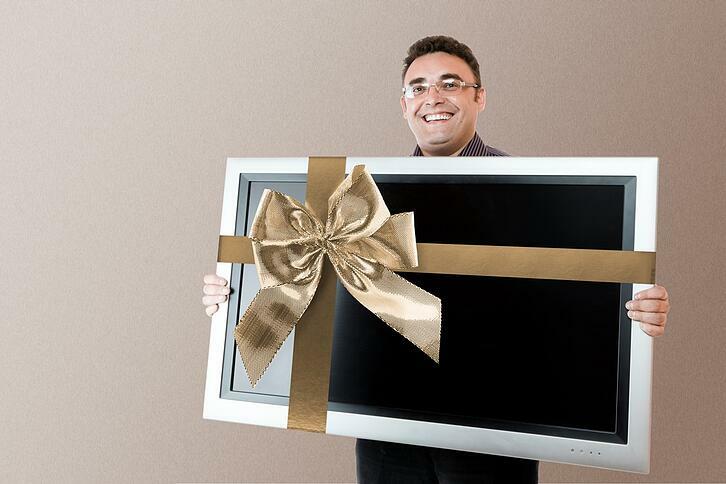 With the surge of larger, flat screen TVs, it seems that millions of American households find themselves with newer, bigger screens every year. And this means that there are potentially millions of "old" screens and monitors that end up looking for a home or being tossed out somewhere. What About Getting Rid of Old TV Sets? There are a number of issues with electronic waste disposal, also known as e-waste disposal. Because of the various laws and regulations, especially in states such as California, many items cannot be simply tossed in the trash. This is especially true for monitors, TVs, and even cell phones. What's more, when you want to properly dispose of an old television or computer monitor - particularly the old CRT types you might still have around - the process takes time, effort and money. Until recently, the total amount of e-waste only made up about 2% of the municipal waste stream in America. But that amount is growing and these electronic waste items are among the most toxic. While they are perfectly safe while being used in your home, or at work, this is not the case when they become unusable. Electronic devices that are broken apart or left to rot and rust, can potentially expose you to all sorts of toxic materials can seep out. Among the major toxins in electronic devices are lead, mercury, arsenic, cadmium, chromium and barium. Televisions, old VCRs, DVD players, stereos, copiers, fax machines, tablets, computers, and plenty more electronic devices all become e-waste as soon as they are not wanted anymore. E-waste isn’t always easy and convenient to recycle. Local governments often have e-waste collection days a few times a year, but that means that homeowners have to store the unwanted items in the meantime. Televisions have been coming into homes since the 1940s and even back then it was a challenge when it came time to dispose of the old TV after bringing home the new one. Some of us remember the massive television cabinets of the 1960s and 70s that took up half a wall in the living room. Moving these was a two-person job at minimum! Going into the 80s the trend was towards buying smaller, more portable units. Unfortunately, when these died or were replaced, it was a relatively easy thing to simply toss them into the garbage can and get a new one. But all those heavy CRT units held untold dangers in the form of toxins and even injury if they imploded. By the 1980s we also had to deal with large computer monitors that were little more than specialized CRT units. And they presented the same problems when it came to disposal and health concerns. The toxic chemicals and other materials used to build the older televisions eventually presented a health and environmental concern that became something of a crisis by the end of the 20th century. Adding to the problem here in the United States was that so many people owned televisions. Older color and monochrome CRTs may contain toxic substances, such as cadmium, in the phosphors. The rear glass tube of modern CRTs may be made from leaded glass, which represents an environmental hazard if disposed of improperly. In October 2001, the United States Environmental Protection Agency (EPA) created rules stating that CRTs must be brought to special recycling facilities. In November 2002, the EPA began fining companies that disposed of CRTs through landfills or incineration. In fact, by 2001 there were an estimated 25 million homes with at least one television. And we were replacing and upgrading them by the hundreds of thousands every month. According to Nielsen's National Television Household Universe Estimates, there were 118.4 million TV homes in the U.S. for the 2016-17 TV season. Perhaps you’ve had the difficult experience of trying to move an old, boxy, heavy TV set. It seems almost impossible to do so without scraping your hands and hurting your back. Which may be why so many people still have old TVs sitting around their homes taking up space and collecting dust. Oftentimes it seems easier to simply hide them in the garage somewhere while planning to dispose of them later. Another reason getting rid of your old TV can be difficult is that they’re considered e-waste, or electronic, waste items. The fact is that older television sets contain harmful chemicals that can pollute the environment if they are put into landfills or other improper disposal locations. This is why television disposal is regulated - to protect both the health of the person disposing of the set and for the health of the environment. Newer TV Technology is Also a Disposal Challenge. With all the focus on CRTs and the chemicals in the tubes, it is tempting to think that flat screens do not present a hazard for disposal. Unfortunately, this is not quite true. Part of the problem with getting rid of an old "new" television, such as the flat screen type, is the sheer bulk and size of the units. While they do not contain all of the toxic substances of CRTs, such as cadmium and lead, they still have their share of toxins. The fact is that flat screen TV disposal can be problematic. Recycling, of course, is always the best option for old televisions that do not work. 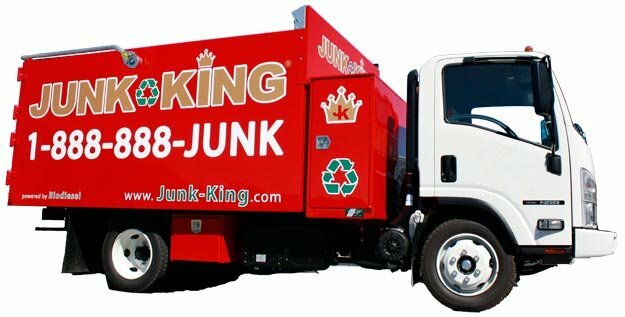 One efficient and convenient channel for your old TV disposal needs is to call a reputable junk hauling firm. This is true whether we're talking about old computer monitors, old CRT televisions, or large flat screen units.